Brendan Johnston had a chance to place at the Colorado state wrestling tournament on Saturday. Instead, he chose to forfeit because he didn’t want to wrestle a girl. Faced with the prospect of advancing in the 106-pound consolation bracket, Johnston simply declined to wrestle his third-round opponent Angel Rios. Rios went on to finish fourth in the Class 3A 106-pound weight class. 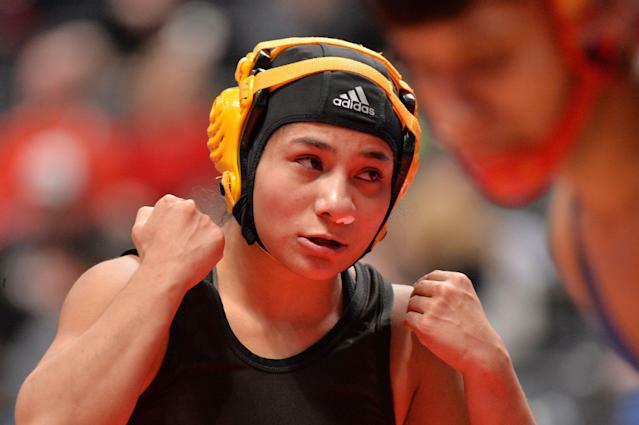 Along with Jaslynn Gallegos, who finished fifth in the same weight class, Rios became the first girl to place at the Colorado state tournament. Both of them won matches against Johnston that he forfeited. Johnston also declined to wrestle Gallegos on the first day of the tournament. According to the Post, Johnston won 37 of his 43 matches during his senior year at The Classical Academy. Five of those six losses came via forfeit. Four of those forfeits came against Rios. Johnston knocked himself out of the 2018 state tournament in similar fashion when he declined to wrestle Cayden Condit. On Saturday, the decision not to wrestle put an end to his high school wrestling career. As for Rios, she focused on the success of her wrestling season that saw her finish with a 23-3 record. Johnston insisted that he meant no disrespect to his female competitors on the mat by refusing to take them on.